Thanks to J. Kaye for pointing this lookalike out! 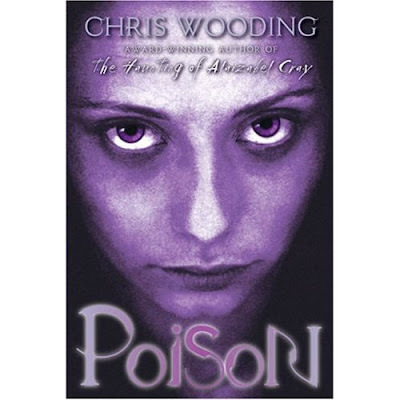 It's interesting that the freckles were removed on the Poison cover, it sort of removes some of the dimension in the girl's face. Truthfully, neither of these covers do it for me how about you? She looks scarier without freckles. They don't really appeal to me either, but I think I prefer her with the freckles. She looks more like a normal person. 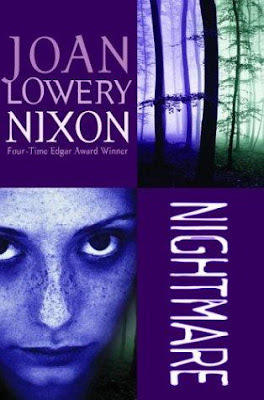 Or, of course, the freckles could have been added on the other cover. It amazes me every time you post a Lookalike. I can't believe how many you find! Being in publishing, I know images are used over and over, but it still surprises me. I am so amazed that you were able to find the match! You totally rock. I love your lookalikes - keep 'em coming. I don't like either cover because that girl is just freaking weird looking. She scares me! I love these look-a-like posts. Its interesting to see how images are recycled among books and their publishers. a.- Aww thanks! I think it says something about how much I look at books, like crazy obsessed! I figured I'd find a few and be done but I keep seeing them and others keep pointing them out to me. It is surprising! J. Kaye- You totally rock too J. Kaye! We made a great time on this one! dawn- Haha, I totally see what you mean! amee- I agree about the freckles! serena- Thanks! There should be some sort of database! I don't like either of the covers, but I do enjoy your lookalike posts! veens- They are! Didn't even post it the week of Halloween on purpose, that's just how it happened!